Refer a friend, colleague or family member who is buying or selling. 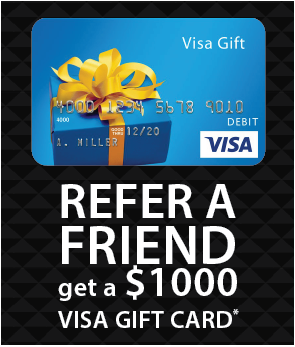 If they decide to work with me, you will receive a $1000 Visa Gift card to keep or share with them. Relationships are important to me. I know you have options. I aim for service excellence based on the cornerstones of trust and integrity, in order to be your preferred realtor over time – so that you will consider working with me the next time you buy or sell, or feel confident to refer me to a friend or family member.